I was at my desk when it all began, although in truth it had started four weeks earlier, with tragedy on a road in a desert. It was early morning on the 8th March when I opened the email. It was from Phil Deeker, the man behind the legendary Cent Cols Challenge events. 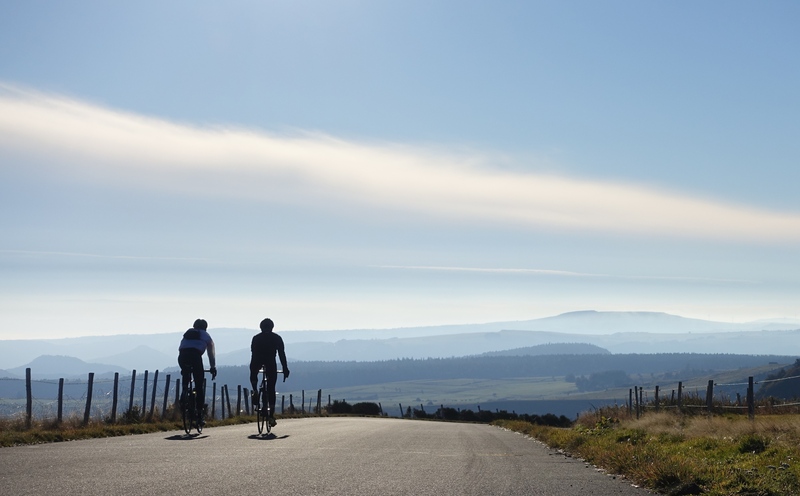 My heart started to beat a little faster – he was suggesting turning the inaugural Cent Cols Challenge in the Cevennes region of France, into a memorial ride for Lucy’s cycling team. Lucy was my sister. She had died four weeks earlier when she crashed out of a bike race in the UAE and was hit from behind by a motorcycle. Phil’s suggestion brought tears to my eyes, which I hurriedly blinked away, in case colleagues noticed! This is why we came: Lucy in late 2014. Photo by Neville Hopwood. Ten of them said yes, based largely on recent emotions and blind faith. Suddenly Lucy’s Cent Cols became a reality. I set about coaching them remotely: how to prepare their bikes, their clothing, their training schedule, their nutrition, their bodies and their minds. I later discovered that my emails were so scary that even some of the strongest riders had skimmed through them, in the hope that if they read them quickly enough, the bad bits couldn’t be true! Mike Duckworth. Photo by Paul Davy. Almost nine months later, 150km into Stage One (215km, 4,500m), I realised that I’d probably made a huge mistake. 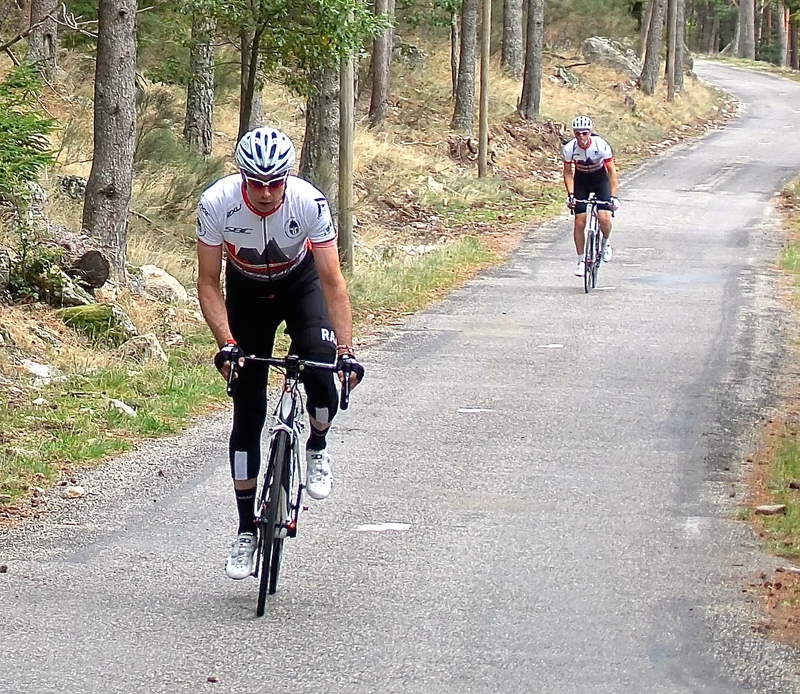 As we toiled up the 18% slopes of Mont Aigoual and my front wheel tried to lift off the ground, I passed one of the Team LMT riders. I passed him because he’d stopped at the side of the road and got off his bike. He remounted a few minutes later, but I made a mental note to apologise to him later and carried on. Phil Bond, followed by SGL, on the steepest section of Mont Aigoual. This was a tough afternoon for all. Photo by Kev Mellalieu. Three hours, eight more cols and 65km later, Loren Schaeffer, Kev Mellalieu and I made it to the hotel in pitch darkness. Loren and Kev are close friends of mine – strong riders from previous adventures and they were ‘guest members’ of Team LMT for the next ten days – if we were struggling to complete the stage in daylight, how on earth were the rest of Team LMT going to cope? My misgivings began to build, although somehow, everyone made it to the hotel that night. 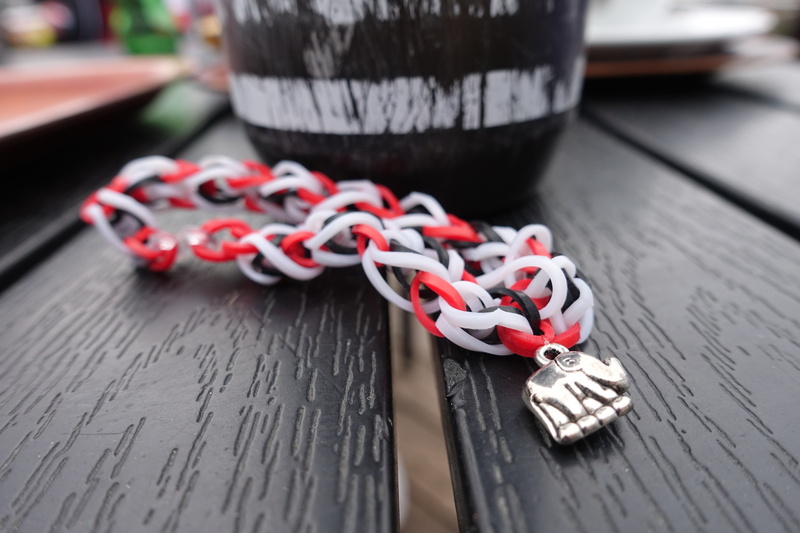 Lucy’s niece, Annie, made loom band bracelets for everyone to wear and added a little silver elephant to each – a nod towards the fact that Lucy was the reigning World Champion in Elephant Polo! Photo by SGL. Stage Two (208km, 4,100m), was hardly any easier and niggly injuries began to surface. As Mike Duckworth put it “you think you’re a good rider and injury free, but then you try to ride 10+ hour days, climbing all the time and your body reveals unknown weaknesses. It’s really brutal.” Most of us finished in the dark again, notably Allan Greenfield and Thomas Fabe – both were nursing injuries, but simply refused to give up. Stem caps don’t get much more special than this – thank you to Khush Jabble from KAPZ. Photo by Paul Davy. Stage Three (167km, 3,700m), started with three really steep climbs, but I was clinging to the fact that it was shorter, at ‘only’ 167km. After five hours of riding, the temperature finally reached double figures and the scenery and autumn light provided one of the best days I’ve ever had on a bike. Nico d’Haemer abandoned at lunchtime, with a badly inflamed ankle, in the hope of recovering quickly enough to start again the following day. He was still trying to complete a full stage without the help of our ‘broom wagon’ support vehicle and yet despite this, he kept smiling and encouraging everyone around him. Loren Schaeffer nearing the summit of the Puy Mary: complete sensory overload! Photo by SGL. Then, as I arrived at the hotel along with Phil Bond, Kev and Jim Pusey, I heard that somewhere on the road behind me, Allan had crashed. As Lucy’s partner and therefore arguably the key figure in all of this, my heart sank to a new low. Allan however is a Kiwi and an ex semi-pro rugby player, so he simply picked himself up. 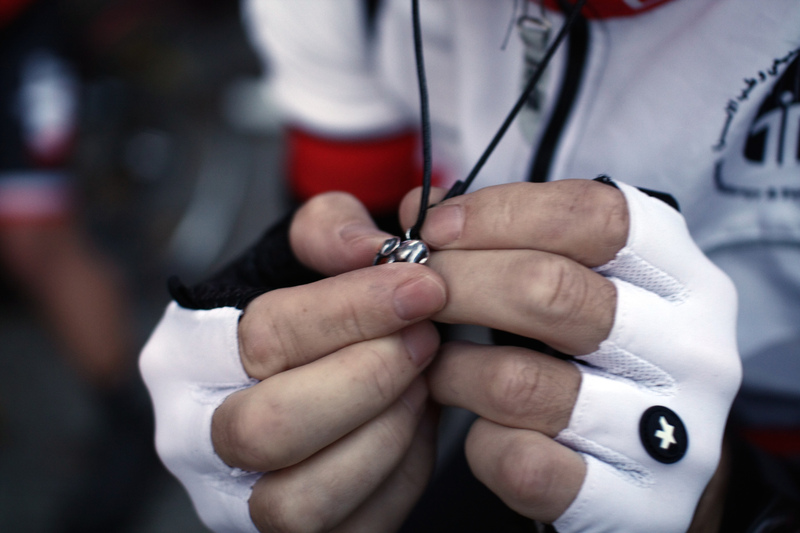 Jonny Bell, our uber-mechanic, replaced his destroyed wheels and Livio, our wunder-chef/soigneur, cleaned his wounds. And then Allan simply rode to the finish. In the dark again, of course. Kev Mellalieu & Loren Schaeffer early on Stage Four: it’s about three degrees centigrade at this point! Photo by SGL. Stage Four (203km, 3,900m), was really tough: after another very cold start and recognising the familiar feeling of low energy levels, the final 100km of the day involved 1,500m of climbing, but no cols! To add insult to injury, it began to rain and our final descent, in pitch darkness and on technical roads in an all-enveloping forest, left me feeling deeply guilty for what I had got everyone involved in. Somewhere on the road not far behind me, I knew others like Simon Marshall, Thomas, Mike, Jim and Allan were still trying to reach the finish. They made it, but I still went to bed thinking that I should have said “no”, back in March. Little did we know that the ‘test’ was about to get even harder. I finished the day sitting in the bottom of a hot shower, moaning quietly with pain as feeling seeped back into my body. To the south, 19 people died in flash flooding. Soaking wet and only another 150km to ride: Allan Greenfield: the King of Pain. Photo by SGL. Stage Six (186km, 3,500m), was thankfully less eventful! Remarkably, everyone was back on their bikes and we ducked in and out of a beautiful cloud inversion in the Rhone Valley, as we headed south into the heart of the Ardeche. Thomas’s face says it all. He can barely walk and yet he’s still on the start line: chapeau. Brilliant photo by Paul Davy of Cycletogs. Notably, Thomas was struggling with a very sore achilles and could barely walk when I saw him step off his bike at the first feed stop. Nico was still trying to finish a stage and almost everyone was carrying some sort of niggly injury (Phil Bond was sporting tape on his ankles I noticed and Allan was covered in the stuff)! But with the lure of a rest day to follow, we all had sufficient motivation to reach the finish. Suffice to say, Team LMT passed Rule 5 with flying colours. Thomas takes a moment… Photo by Paul Davy. A rest day is rarely a day of rest and this one was no different to others I’ve had – laundry, stretching, massage, bike cleaning, eating and all sorts of other admin. It was however considerably easier than the previous six days of riding and as such, it was sorely welcome. 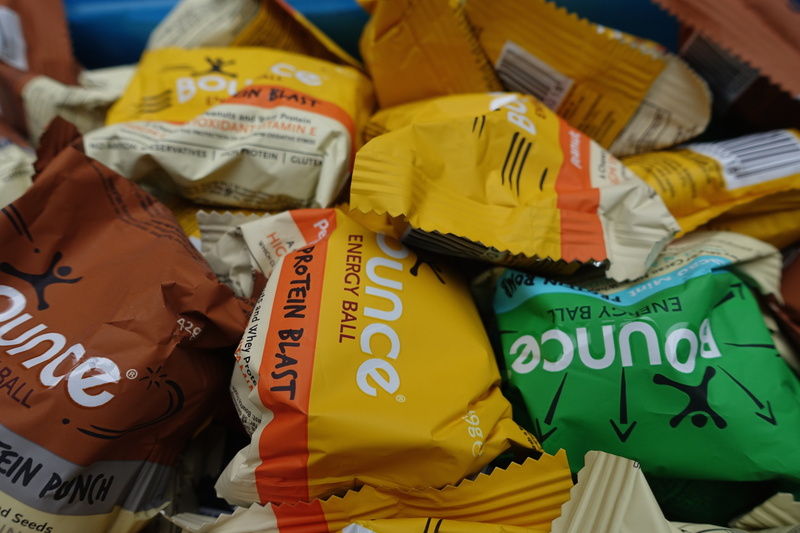 Bounce Balls: just brilliant little bundles of slow releasing energy. Photo by SGL. 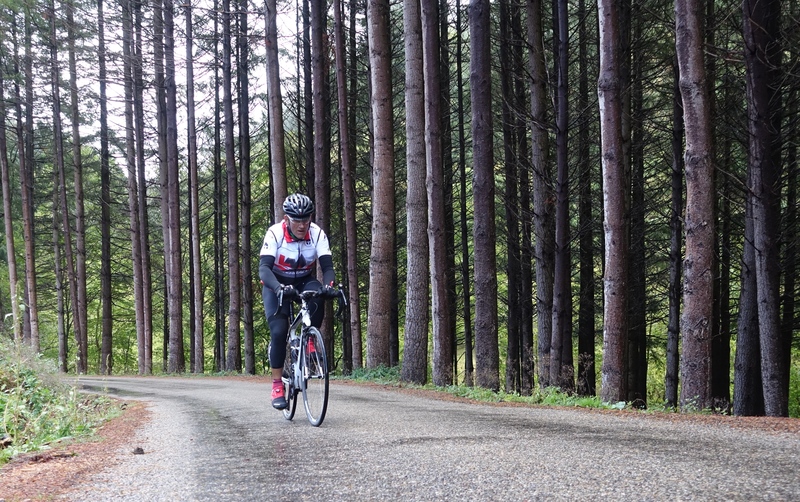 Stage Seven (186km, 3,500m), took us straight back to the business of suffering. Low cloud gave way to driving rain, which then gave way to a major thunder storm! Thankfully it was warmer than Stage Five, so bearable and I rode most of the day with Allan, loving our partnership on the road. When the storm cleared and our climbing lifted us above the clouds, the scenery and the colours were simply immense. When the storm cleared, we were rewarded with this! Photo by SGL. Thomas crashed, but only lost some skin and a little pride and Nico tried again to make it to the finish, but failed. I destroyed a cleat/pedal, but Phil Bond had a replacement handy and I was on my way again. 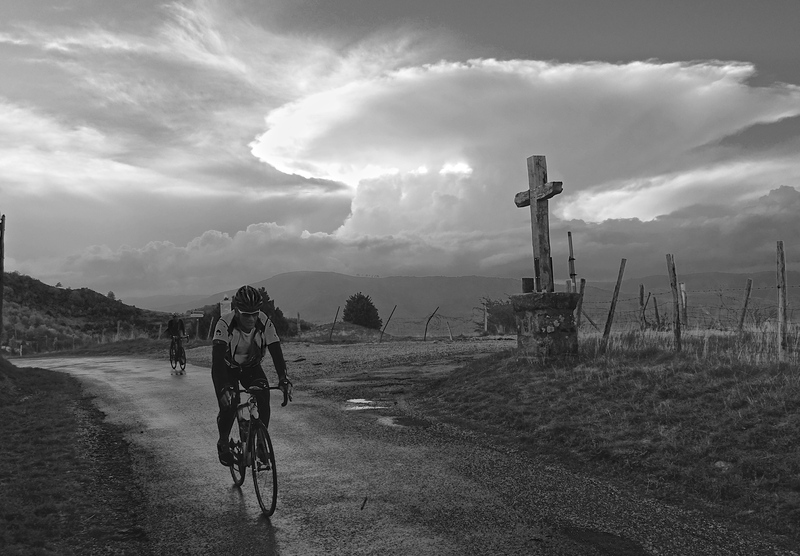 I have a lasting image of Allan and Phil Deeker cresting the final col of the day, with a stark cross silhouetted against a growing thunder storm. It seemed so apt: having been tested in ways that only we could really understand, we were emerging from the storm. Allan emerges from the storm at the end of Stage Seven. Photo by SGL. 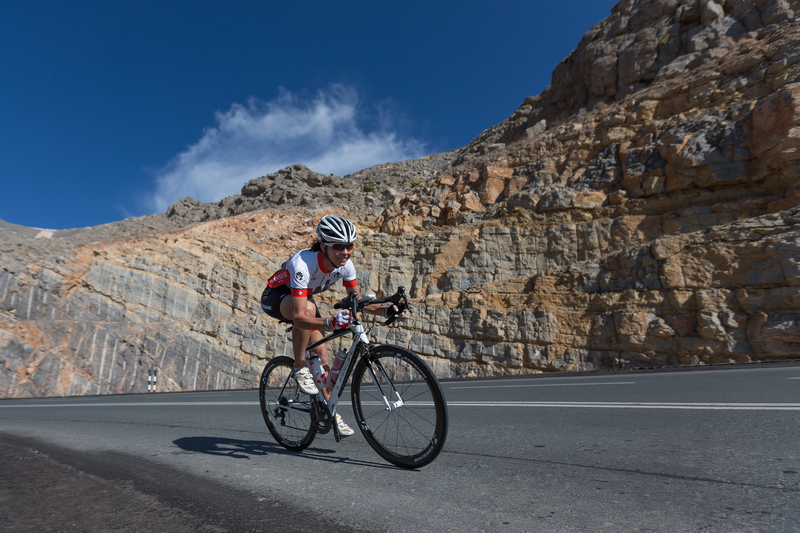 Stage Eight (170km, 3,500m), was the turning point for me. First, I finally seemed to be riding well and had ‘the legs’ to attack the climbs; second, the end was in sight, and third and most importantly, I began to realise that my earlier doubts and misgivings had been wrong. Phil Bond climbing the stunning Croix de Bauzon. Great shot from Paul Davy. Lucy believed in two things: giving something your all and trying, even when there seemed little hope. I realised, as I climbed the stunning 20km to the summit of the Croix de Bauzon with Michael, that as a team, we were doing exactly the right thing. We were giving something our all and everyone was still trying to ride their bikes, even though pain, fatigue and doubt gnawed at each of us. I suddenly accepted that we were right to be here all along and that if a Cent Cols Challenge was easy, it wouldn’t have been worthy of Lucy’s memory, nor would it have been a fitting way of marking her passing. This was the moment, riding with Michael, when I realised we were right to be here. Photo by Paul Davy. Corny though it sounds, I finished the day genuinely uplifted, chatting to Phil Deeker about all the various strands of the LCC story. 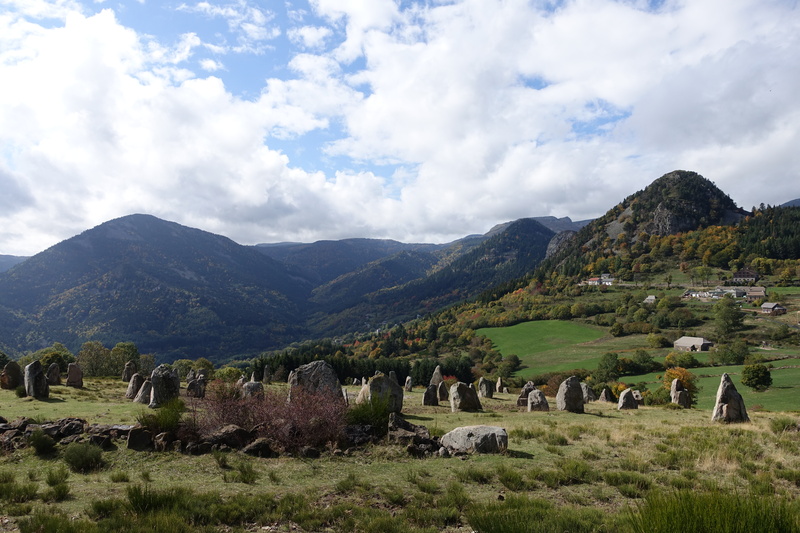 Perhaps as the epitome of what we were all doing in the Cevennes, Nico finished the complete stage. It had taken him eight days of trying, but he didn’t give up and in the end, he got there. For him, that one stage was the same scale of achievement as the full event was for others. Nico. The tape says it all! Nice job. Photo by Paul Davy. Stage Nine (178km, 3,400m), was a reminder that it’s never over until it’s over. Late in the day, while descending the Col de la Begude, a white van suddenly blocked the entire road. I scrubbed off as much speed as I could and at the last moment, flipped the bike sideways to avoid taking the impact head-on. Jonny straightened out my bike and I rode on to the finish, thankful for disc brakes and life in general, albeit with a stiff neck and a sore shoulder! Jim Pusey climbs through Stage Eight. Photo by Paul Davy. Stage Ten (185km, 3,300m), was everything it should have been: hard and painful at times, as we nursed our bodies up the final 14 cols. Allan and I rode side by side and led Team LMT the final 30km to the finish and suddenly there we were, back at our start point in Montpellier, after some 1,892km and almost 38,000m of climbing (and descending). Some spent a little less and some more, but my own stats told me that I’d ridden my bike for 96 hours since leaving this point, ten Stages earlier. 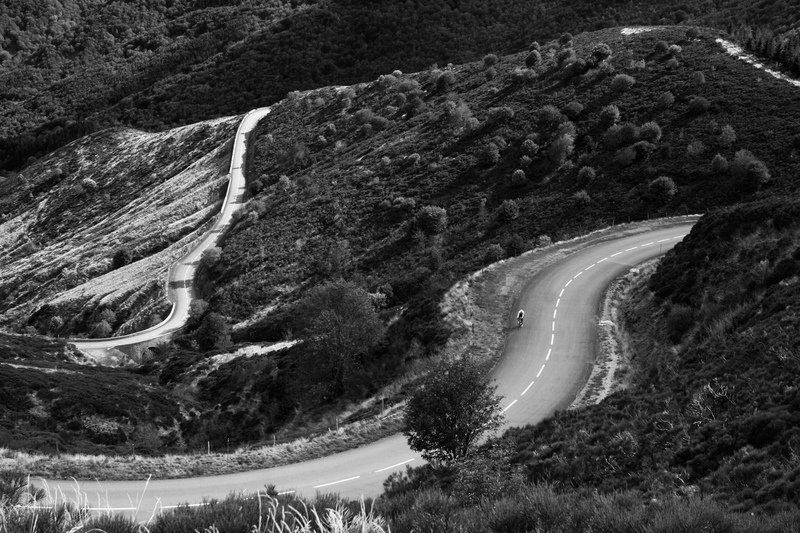 Team LMT – almost 2,000km and 38,000m: 100 cols, 11 riders, 10 days, one team. Photo by Paul Davy. 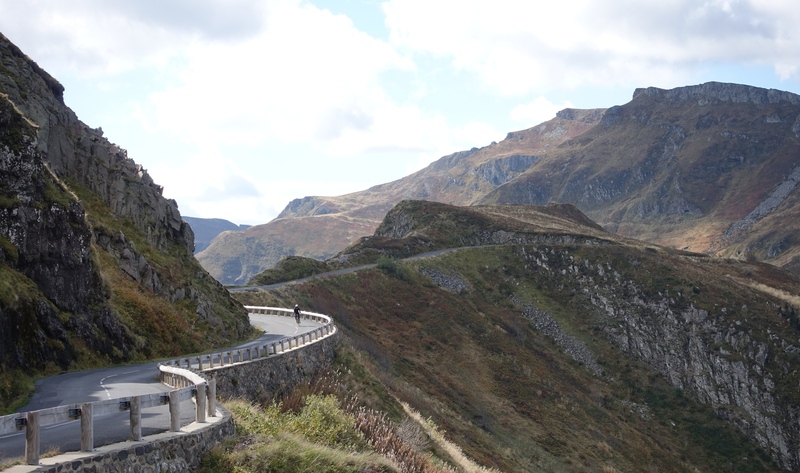 It was the same hotel that we’d set out from, but we weren’t the same people anymore: Team LMT had been to places that few cyclists ever go – not just geographically, but physically and mentally. Lucy would have been so proud of ‘her boys’. 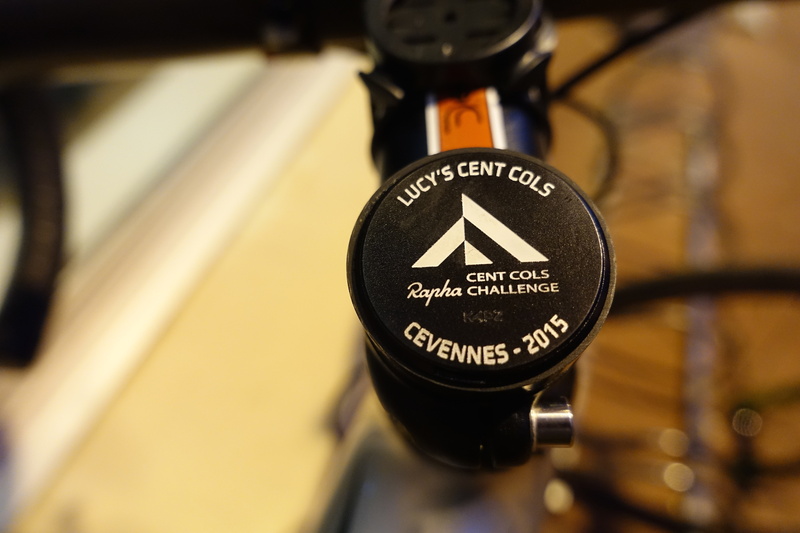 For each rider, Lucy’s Cent Cols offered some degree of closure – certainly we did something good and took part in a unique and very special event. We will have lifelong memories of this adventure. Someone told me recently that it doesn’t matter what you do, but rather who you do it with: I’m very, very proud to have done this with Team LMT: Allan Greenfield, Michael Hewitt, Jim Pusey, Thomas Fabe, Phil Bond, Nico d’Haemer, Simon Marshall, Mike Duckworth, Loren Schaeffer and Kev Mellalieu. Simon: the final day: job almost done. Photo by Paul Davy. 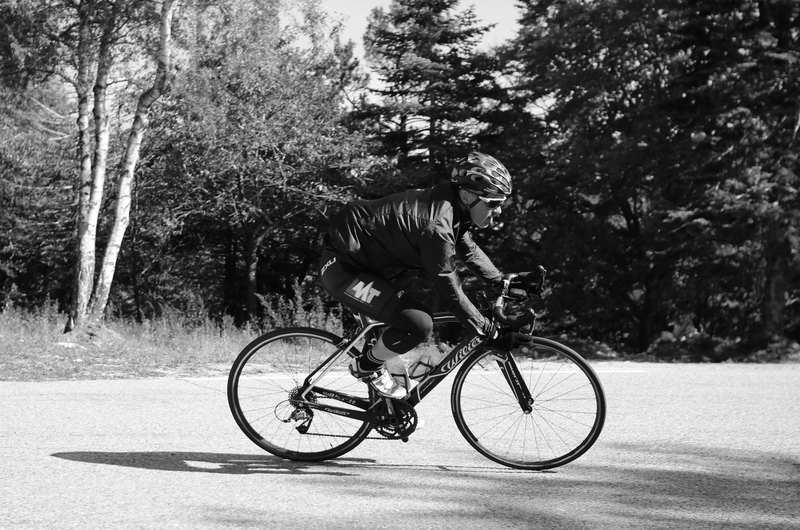 – The Cent Cols support team in the Cevennes: Phil Deeker, Jonny Bell, Louise Miller, Daren ‘Yogi’ Allgood and Livio Nanetti. We couldn’t have done any of this without their continual support and efforts, which were frequently ‘above and beyond’. – everyone who donated to LMMT: we’ve raised £15,000 to date and that number’s still rising. Thank you so much. – The ‘normal’ Cent Cols riders, who all became part of this unique ‘Lucy journey’ and very kindly tolerated our learning curve! Thank you Sean Cody, Tim Smith, Jenny Burtner, Nicky Millar and Jim Bird (who deserves a very special mention for what became a busman’s holiday – we made ample use of his superb physiotherapy skills). – Paul Davy for his fantastic images. Another of Paul Davy’s brilliant images. – Sarah Bond for capturing the moments, her roadside support and constant smiles. – And finally, to Becks the Dog, our team mascot. It was noticeable how everyone was happy around Becks, even when their legs and other pains made smiling unlikely! P.S. A final personal thank you from me to my 2015 support team: Jon Roberts, Barry Walsh, Andy Colley, Simon Winfield, Jonny Bell and Chris Bantock. SGL on the final day: reflecting on the journey. Photo by Paul Davy.